Apple says it takes the enterprise more seriously today than ever before, and it has backed that claim with the release of a number of new business solutions during the past years. However, Apple's enterprise efforts were barely noticeable at the company's annual developer conference last week. Apple did not completely ignore the enterprise at the Worldwide Developers Conference (WWDC), but it also didn't make any significant business-focused announcements. The company mentioned enterprise only once, in passing, during its two-hour opening keynote, but some of the APIs in the upcoming iOS 10 software, discussed in technical sessions later during the conference, will enable new capabilities for many user types, including IT professionals. For example, the iOS 10 software development kit lets businesses build apps that integrate with iMessage, Siri and Maps. And enhancements to iCloud, Touch ID and a new common file system that syncs across iOS, macOS, tvOS and watchOS, called Apple File System, should also enable developers to build better business apps. Apple's partnership with Cisco, announced last August, will bear some new fruit in iOS 10. Cisco's Spark collaboration app will tap into Apple's new mobile OS to integrate with native iOS calling features, so calls placed via the app will look and feel like calls made using Apple's native phone app. Cisco customers will be able to make and receive calls on iOS devices over corporate networks, and IT managers can give Cisco apps network priority over other non-critical apps to ensure the best possible user experience. Apple also made notable progress in the enterprise market since it inked an alliance with IBM almost two years, and it followed up with deals with Cisco and SAP. The company has been busy, but it could do more to highlight its strengths to businesses, according to Patrick Moorhead, president and principal analyst at Moor Insights & Strategy. "I believe Apple could have mentioned enterprise more than it did [during WWDC] if it wanted to reiterate its enterprise aspirations," he says. Travis Fischer, director of engineering at ChaiOne, an enterprise design firm and member of Apple's mobility partners program, attended WWDC, and he says he wasn't surprised when enterprise was mostly overlooked during the keynote. The WWDC keynote is "less about sharing new and exciting things for the developers and more about sharing news with the rest of the consumer world about the next versions of Apple's various [platforms]," Fischer says. "This is the first shot of Apple's sales pitch for new phones in the fall." Apple's keynote is the most public-facing WWDC event, but it's also the least significant for attendees, according to Fischer. "Developers come to WWDC to learn about the guts of the flashy things mentioned at the keynote and how they can use the new tools and libraries in their apps." The company didn't address business developers specifically, but it introduced several improvements that could be useful to them, Fischer says, including the new iOS APIs. "You don't have to call someone by name for them to know you're talking directly to them." Apple geared the majority of technical demonstrations at WWDC toward consumers, but changes to its underlying technology will impact enterprise developers, according to Moorhead. The company's decision to open up its most popular native iOS apps to external developers also has strong implications for the enterprise, he says. "Route drivers could have simplified maps and directions to reach their destination … Siri could be used by food handlers to invoke the right recipes or instruction manuals without touching the phone … [and] iMessage could be linked to a bot to answer questions and ask the right questions," Moorhead says. So while the company didn't make many big business announcements at WWDC, it didn't have to, according to Fischer. Apple is already bringing its well-known "consumer experience to the enterprise worker," he says. 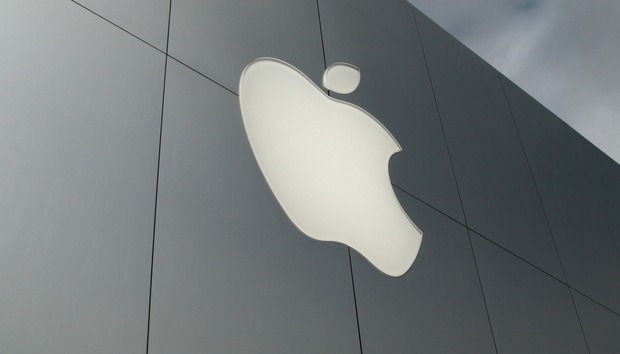 "Apple doesn't need to court the enterprise with splashy announcements or new tools."